The UGG boots have never failed to grab the attention of various fashionistas. These boots are a trend which refuses to die. Celebs ranging from the sports world to the glamour world have been seen sporting these boots. And, these boots have been gaining popularity after various celebrities have been spotted wearing them. They have now essentially become a fashion statement. Though it may seem that you can rock the UGG boots with any boots it is not true. Here down below is a list of tips to follow to ensure you look extremely flawless in these genuine UGG boots. This may not seem as an important component but is imperative that you buy the shoes which fit you right. If you fail to do so, you will look extremely out of place. Hence, to not look like a fool you should buy the right size for your genuine UGG boots. Some people believe that UGG boots have only one pattern and style. This is not true as genuine UGG boots come in a variety of styles and sizes. It is important that we choose the correct style for ourselves. The style selection essentially depends on our wardrobe and usage. Hence, to make sure that you look extremely flawless in your genuine UGG boots you should take into consideration your whole wardrobe while buying these boots. Originally genuine UGG boots had the classic sheepskin color but with advancement in the fashion industry, we now have a variety of colors to choose from. It is important that we choose the right color for ourselves as wearing UGG boots in it is a great fashion statement and along with that rocking a color may be too much. Therefore, before choosing the colored genuine UGG boots we should make sure that it is accordance with our personality as well as our wardrobe. There are a few do’s and don’ts that we should follow when wearing genuine boots. It is often thought that UGG boots would look appropriate for office wear, but it is a major don’t. This is because UGG boots represent extreme casualness. We should avoid wearing UGG boots to our office as that would be extremely out of place. Next in line is wearing UGG boots to a party. This is also an extreme don’t. We should never pair our UGG boots with a sequined dress or a mini skirt. We should never also pair it with sequined tops. But, in fact, the proper of wearing UGG boots is with trendy leggings and denim. These would not only make you look more casual and relaxed but would also help you in making a great fashion statement. UGG boots are meant for casual and relaxed wear and are also very comfortable to wear especially in winters. 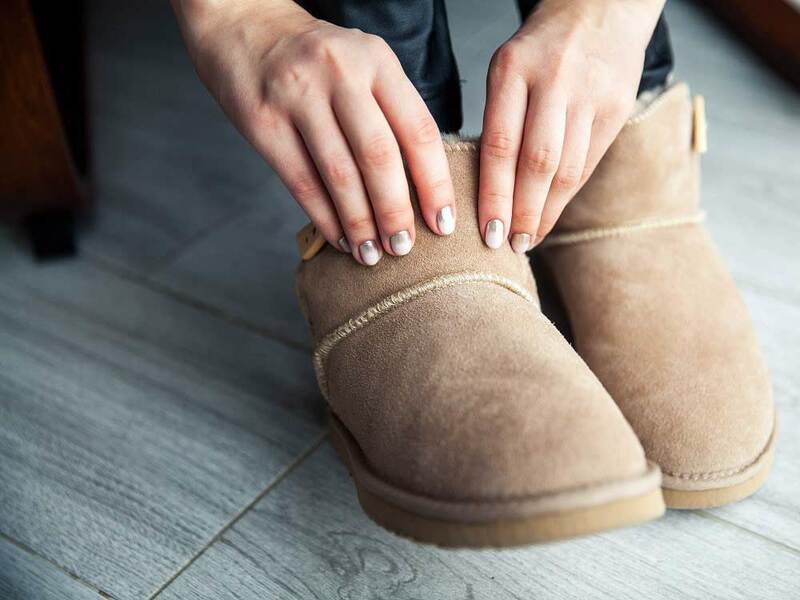 The inner lining of the UGG boots helps us to keep our feet warm and cozy and also helps us in feeling warm during extreme winter conditions. We can also invest in a good pair of UGG slippers and wear them in-house. Therefore, wearing genuine UGG boots for office and parties is a big don’t whereas teaming them up with casual chick look is a good fashion statement. Therefore, it is very important to follow these tips to make you look like the fashionistas that you are deep down. Also, there are various benefits of wearing genuine UGG boots as well. Many designers have also been seen incorporating genuine UGG boots in their new collection. Previous articleDo you believe in these pimples an acne myths too?